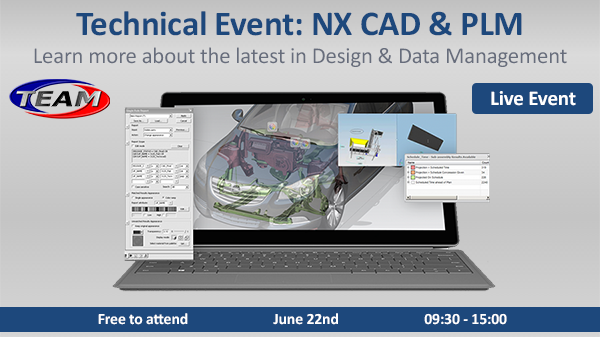 22nd June 2017 – Our NX CAD & PLM Live Event takes place! We are hosting a Live event that will cover NX CAD and PLM in depth. We’ll explore the newest NX features in an Active Workspace environment and also delve into multiple PLM scenarios that showcase refined workflows. The event is at Siemens PLM Software, Solihull, and runs from 09:30 to 15:00. Free on-site parking & refreshments provided all day. Click below to view more details and register.